Filmmaker Karan Johar loves everything larger-than-life be it on-screen or off-screen. As KJo knows the pulse of the audience, he leaves no stone unturned to present his films in such a way that it becomes the talk of the town. KJo’s latest offering ‘Kalank’ is one of the highly anticipated films of this year and with just one day left for its release, we all just can’t keep calm. Ever since its inception, ‘Kalank’ has been grabbing the headlines. 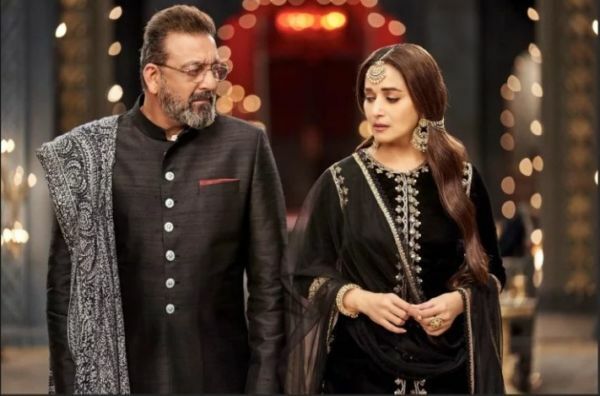 The greatest attraction of the film is its terrific ensemble cast comprising the hit jodi of Alia Bhatt-Varun Dhawan alongwith Madhuri Dixit, Sanjay Dutt, Aditya Roy Kapur and Sonakshi Sinha. The film’s posters, trailer and songs have already taken the internet by storm. And if you are still wondering whether to watch it or not, then here we give you five reasons why you should definitely watch this film. These two veteran actors have given us some classic films like ‘Saajan’ and ‘Khalnayak’ to name a few. They are reuniting on the silver screen after almost two decades! What more one could have asked for? We are pretty sure they will recreate their magic in ‘Kalank’ as well. These two are really one of the most talented actors of their generation. After ‘Student Of The Year‘ and ‘Badrinath Ki Dulhania’ series, Varun and Alia will be sharing screen space for the fourth time. And just like in their previous blockbuster films, Varun and Alia are all set to make the audience fall in love with them all over again. All films of KJo boast of a great soundtrack and ‘Kalank’s songs are already ruling the chartbusters. The film’s title track is crooned by none other than Arijit Singh, and it’s soulful lyrics are penned by Amitabh Bhattacharya. Pritam has really composed a great soundtrack as it has a classical, soulful and peppy songs. This hottie has a separate fanbase of his own. After ‘Ok Jaanu'(2017), the actor will be back on the silver screen with this Abhishek Varman directorial. Aditya’s look in the film is amazing and every time he appears on the screen you just can’t take your eyes off him. Aditya dancing with Varun in ‘Aira Gaira’ song is one of the highlights of the film. Adi is definitely going to grab more eyeballs with this film. The way Abhishek has brought everything together for this period drama is commendable. The director has given equal attention to all the aspects of the film right from its casting to its production, his hard work is clearly visible. And who doesn’t like a love story? ‘Kalank’ is a story of eternal love and sacrifice. So get ready to witness its story unfold on April 17. Stay tuned for more such interesting updates on this film.